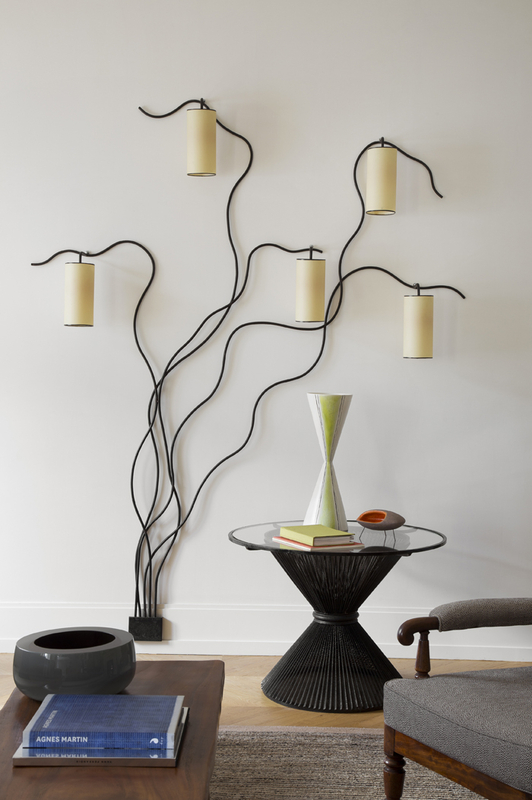 Jacques Lacoste is an antique dealer and his partner Caroline Sarkosy, an interior designer. When you combine their chosen careers with their individual and impressive collections under the one roof, it is, undeniably, a magnificent match. You might say complete harmony, in fact. Their living room alone features the famed Polar Bear sofa by Jean Royere, a bronze and lacquer coffee table by Hubert le Gall alongside Heart Chairs also by Royere. 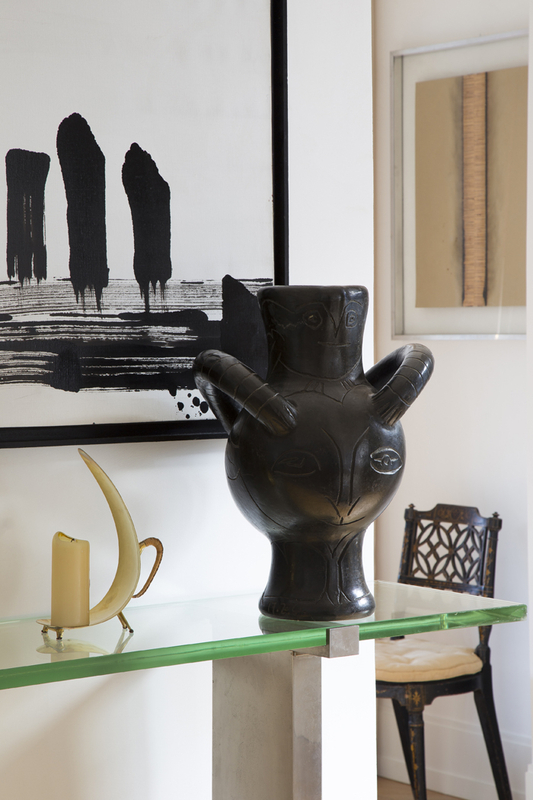 Perhaps my favourite though is (pictured above) the extremely rare bronze vase by Pablo Picasso (1961).